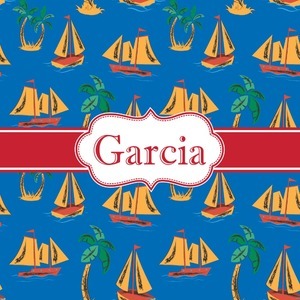 This design combines the beloved Northeastern tradition of summer sailing and a Hawaiian tropical paradise. Get ready for a summer full of adventures with this whimsical design, set on the deep blue sea. Personalize with your name for the final preppy touch.